To help promote a healthier environment for all persons on Walters State Community College's campuses, smoking will be permitted only in personal vehicles effective the first Monday after Walters State's 2014 spring commencement ceremony. 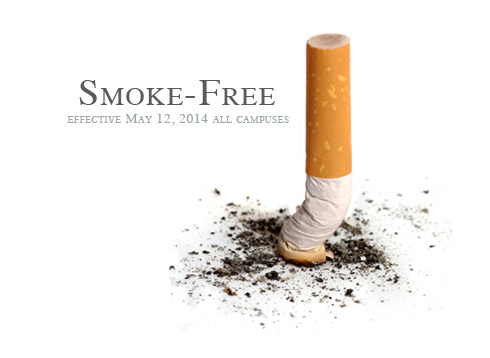 Effective May 12, 2014 all Walters State Community College campuses will become smoke-free environments. Smoking will be permitted in personal vehicles. This change is being made to promote a healthier environment for everyone attending or visiting Walters State. According to the American College Health Association, such policies have led to substantial reductions in the number of people exposed to tobacco hazards, the number of people who smoke and the amount of tobacco products consumed. Walters State is joining over 400 colleges across the nation in adopting such a policy. This policy will promote and create a healthy environment for everyone. College Nurse Becke Vesely can provide more information. Visit her office in the College Center on the Morristown campus. You can also contact her at rebecca.vesely@ws.edu. Students can meet with Nurse Vesely on other campuses each month. Contact her for each month's schedule. Why was tobacco use selected versus other health risks? Tobacco, when used as intended, leads to serious health problems, including death. Smoking, in particular, exposes individuals choosing not to use tobacco to the same dangers through secondhand smoke. This policy covers all forms of smoking products, including cigarettes, pipes and cigars. Smokeless electronic cigarettes and other similar devices are also banned under the policy. Any member of the Walters State community may respectfully remind individuals of this policy and request compliance. Repeat violations will be handled through the college's established procedures just like other policy violations. How does my smoking endanger others? The Centers for Disease Control estimates that 2.5 million nonsmokers have died from exposure to secondhand smoke since 1964. 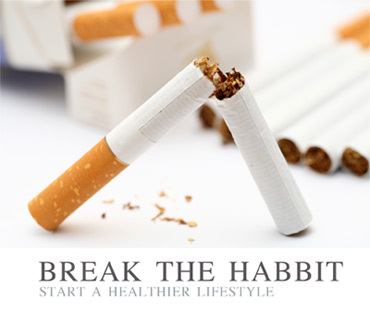 The same organization warns that even brief exposure to smoke negatively impacts the health of a nonsmoker. The problem is significant; over 40 percent of non-smokers test positive for cotinine, a dangerous nicotine byproduct of cigarette smoke. What about other forms of tobacco? The use of mouth tobacco (to include dipping, chewing, etc.) is prohibited in all buildings owned or controlled by Walters State.